short & sweet ( and perpetually polished): My 1st rbl ! I placed a pre-order for rescue beauty lounge locavore a while ago. It came yesterday and I just love it! 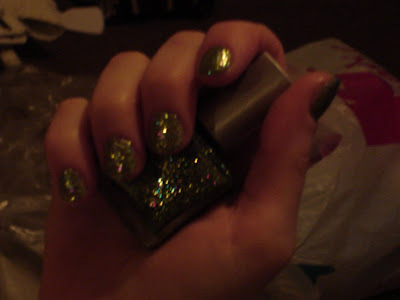 I am normally not a glitter person, because they take too many coats and are never opaque enough for my tastes. (when I layer another color underneath I end up with about 7 coats of polish) This polish is amazing, I'm so glad I made the leap and splurged on this one. 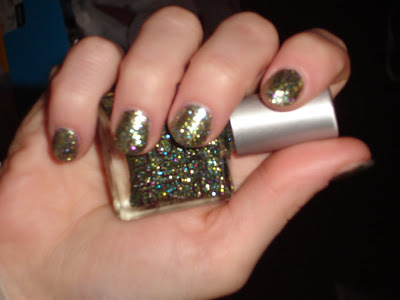 This is three coats and the glitter is opaque, but it's not scratchy like some glitters can be. 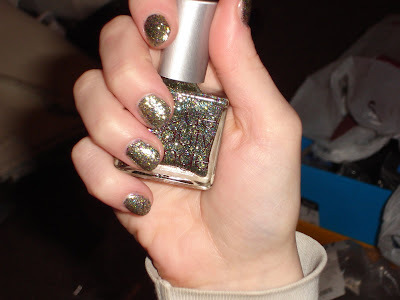 When you can't stop looking at your fingers you know it's a great polish!